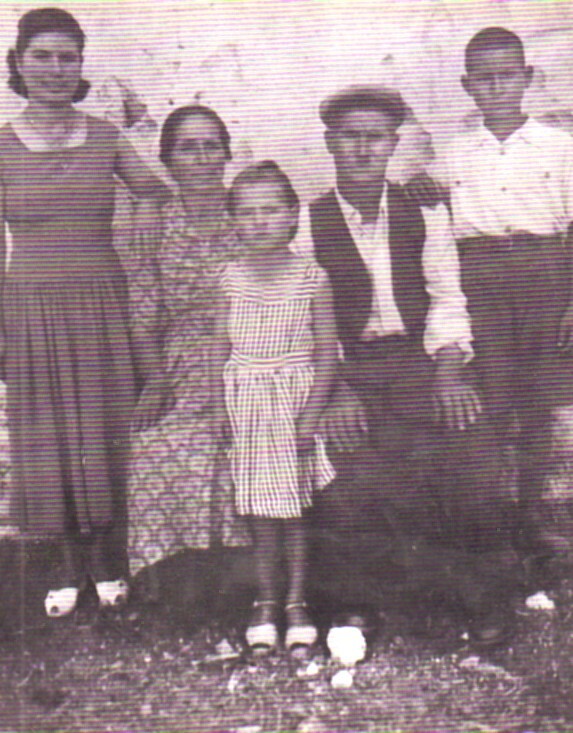 Above: My parents, Theodoros and Maria, with Ourania (left), Stella (middle) and myself on the right. Circa early 1950's. 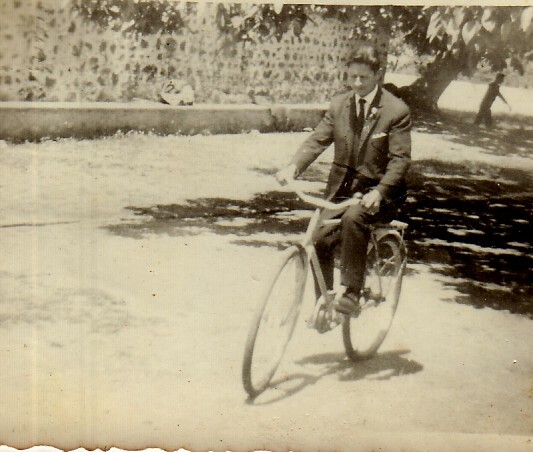 Above Right: As a young man, riding my bike at Perivoli. 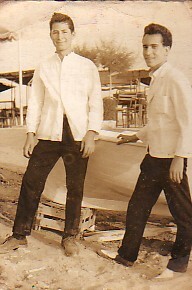 Above: As a young teenager, I migrated to Athens for work, where I was a chef for many years. I am on the left. 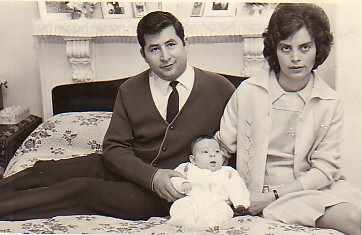 Above Right: With my wife, Evangelia, and our new-born son, Theodoros. Above: With friends- fellow Antisseans. 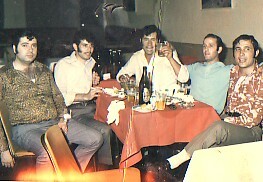 From left, we are: Kostas Kyriazis, Nikos Katehos, myself; Panagiotis Dalgitis and unknown.